1-Wire Pt100 transmitter TST200 for accurate high temperature monitoring. 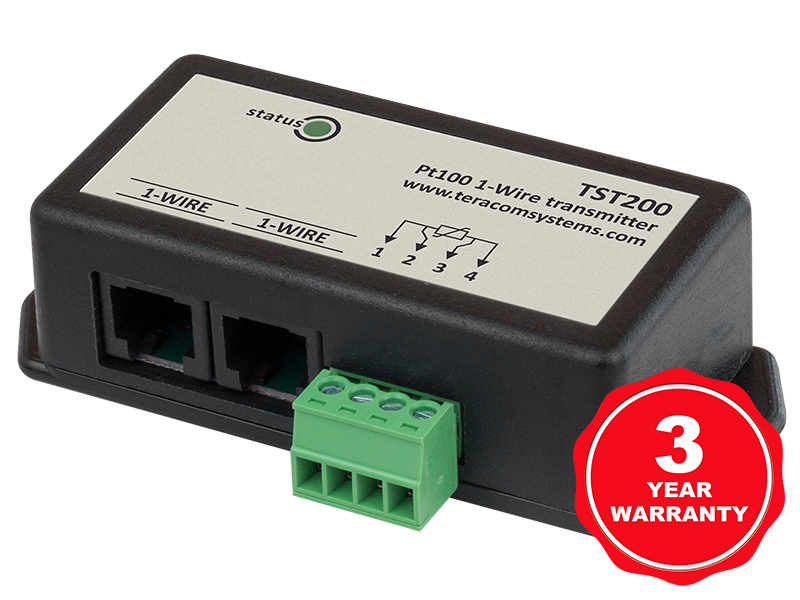 TST200 is a 1-Wire Pt100 transmitter for accurate wide-temperature monitoring from -200 to +850 °C. 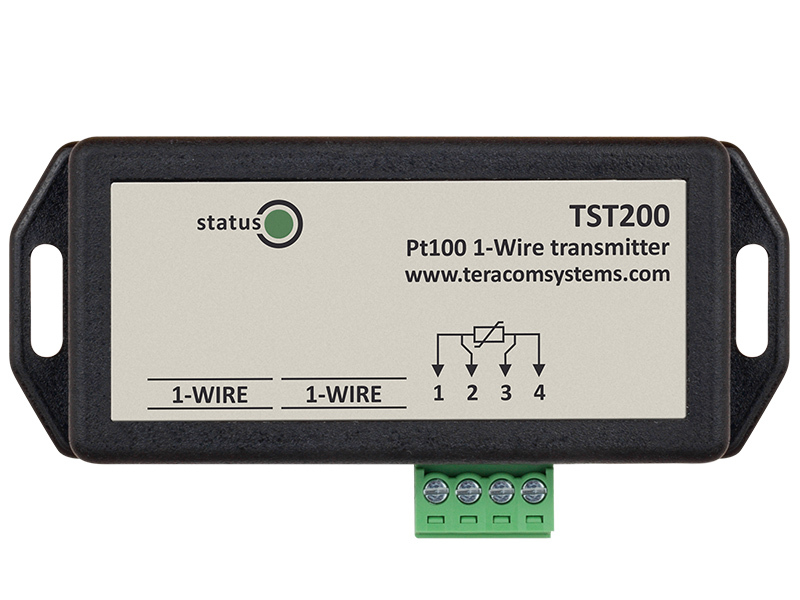 TST200 is a Pt100 transmitter with 1-Wire Interface. 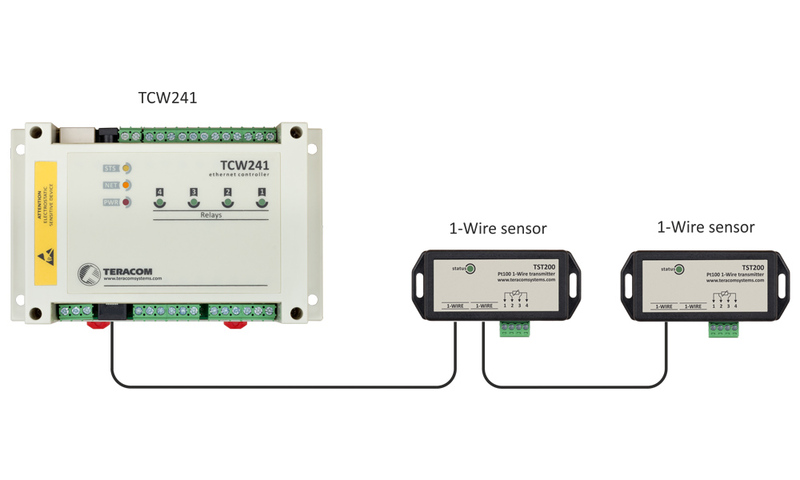 It is designed to connect Pt100 temperature sensors to TCW2xx and TCG1xx controllers to build temperature monitoring systems in -200 to +850 ° C (-328 to 1560 ° F) range. The 1-Wire Pt100 transmitter incorporates a precision, 24-bit, an analog-to-digital converter (ADC) and further digital signal processing to ensure accurate drift free performance. RTD (Resistance Temperature Detector) commonly referred to as Pt100 is one of the most popular temperature sensors used in industry. In principle, the sensor can be connected with 2, 3 or 4 wires. The more wires are used, the more accurate the measurement is. The difference becomes significant at the longer distance. The 4-wire connection is highly recommended. 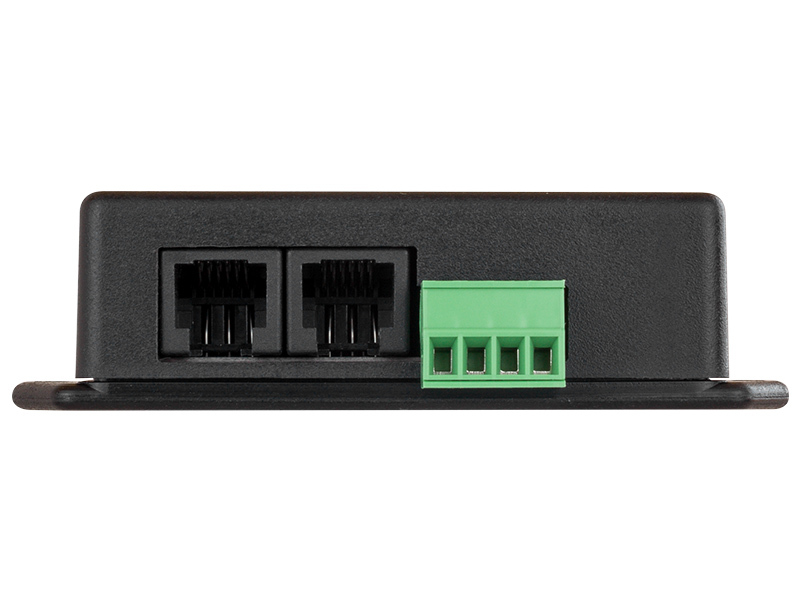 TST200 has two RJ11 connectors, for easy daisy chaining 1-Wire bus. No external power supply – powered over the interface.